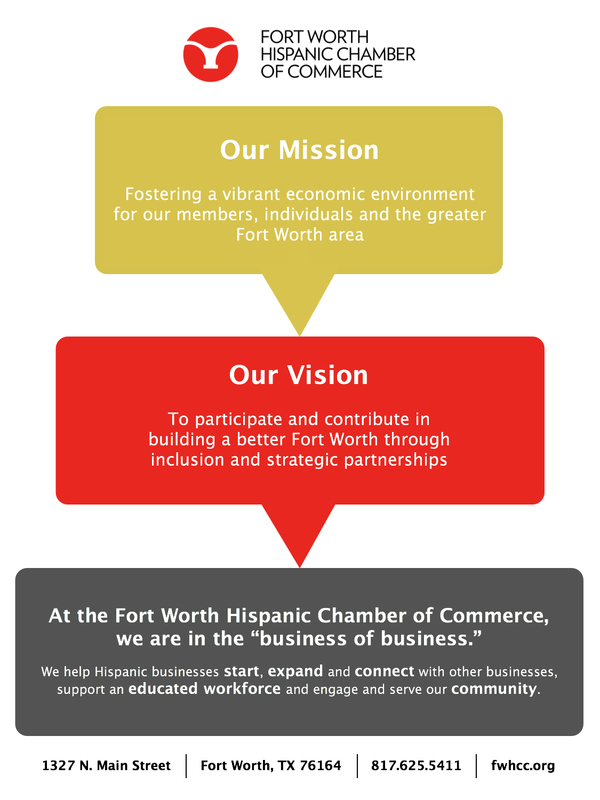 Thank you for your interest in volunteering at the Fort Worth Hispanic Chamber of Commerce's 46th Annual Gala. The Gala will be held on May 4th at The Worthington Renaissance Hotel, located at 200 Main St, Fort Worth Texas 76102. Attire is formal. Please review the volunteer needs by clicking "Register Now" and indicate the area in which you wish to participate. 1pm - 4pm (4) Volunteers needed to help set up decorations & silent auction items. 5pm - 7pm (6) Volunteers needed to greet guests, check in guests at registration and provide basic event information. 7pm - 9pm (6) Volunteers needed to greet guests, check in guests at registration and provide basic event information. 5pm - 7pm (6) Greeters needed to take tickets & show guest to their assigned seating. 5pm - 7pm (6) Volunteers needed. 4 tables/1 volunteer at each table. Each table has 10 items in which volunteers will guard silent auction items and sell items to the bidder. 7pm - 9pm (4) Volunteers needed. 4 tables/1 volunteer at each table. Each table has 10 items in which volunteers will guard silent auction items and sell items to the bidder. Silent Auction bidding ends at 8 in which volunteers stay until guests pay and pick up their items. 9:30pm-11:30pm - (4) Volunteers needed to help clear off tables, collect decorations/silent auction items, pick up chamber equipment and help load items into staff vehicles.